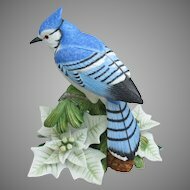 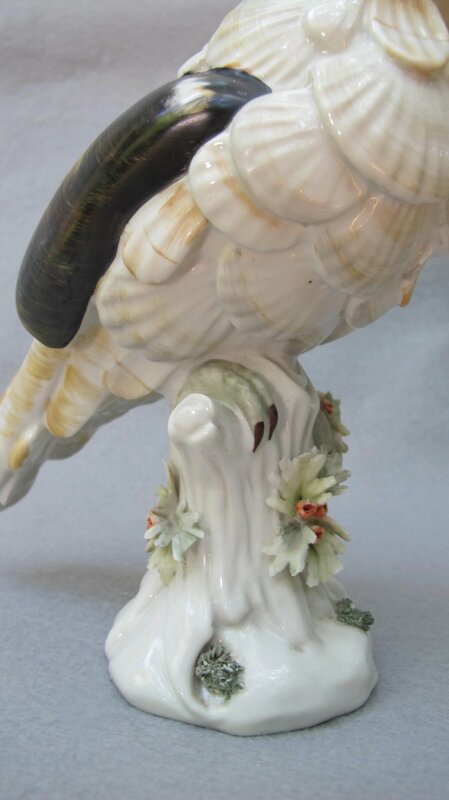 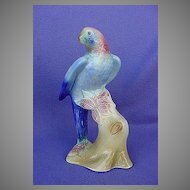 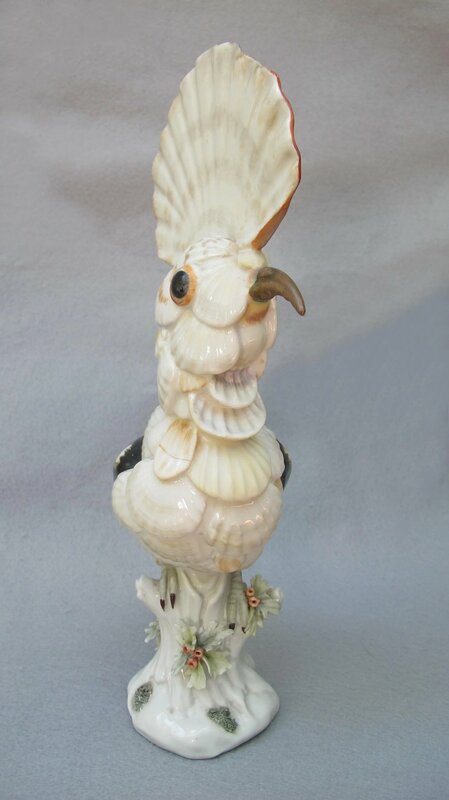 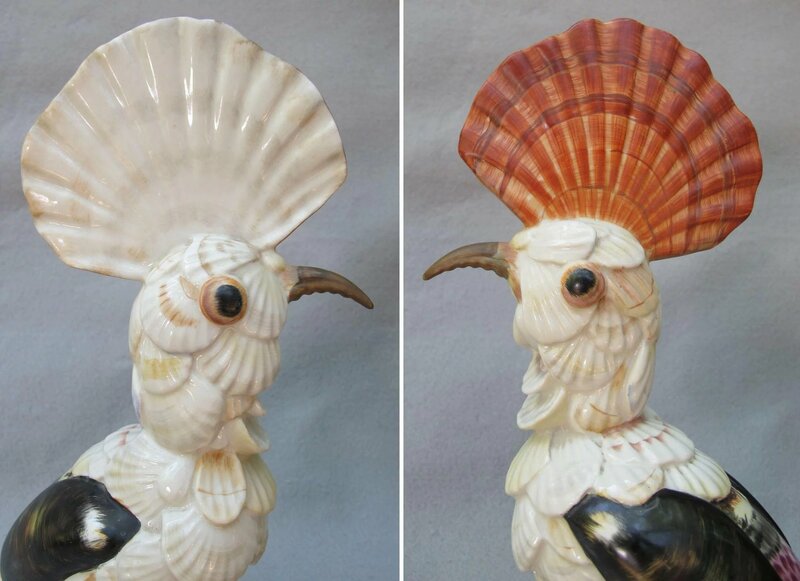 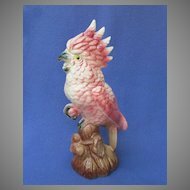 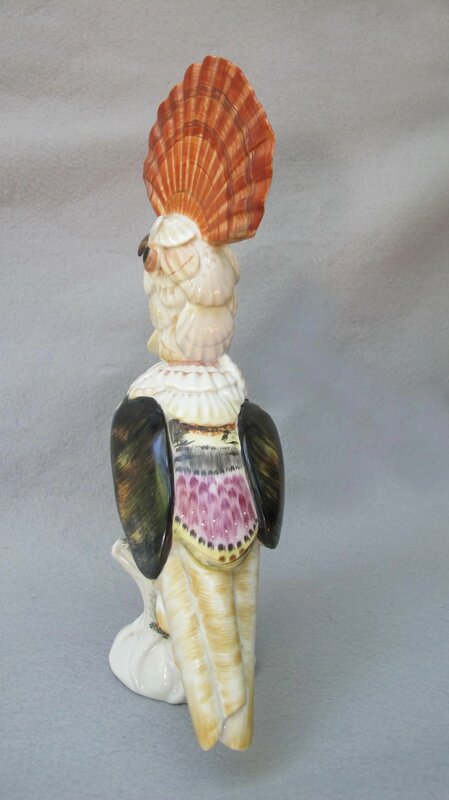 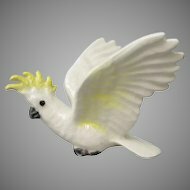 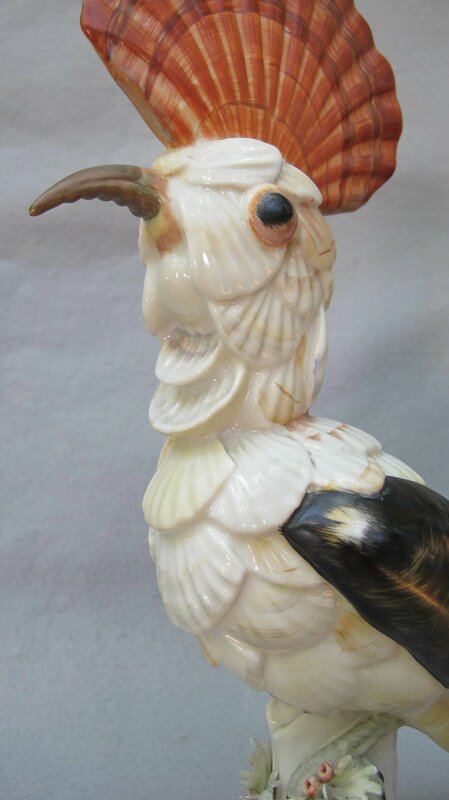 Merging of sky and sea to stunning effect, this vintage Hoopoe figurine from Mottahedeh of Italy is certain to be noticed with its colorful crest and the seashells adorning its body. 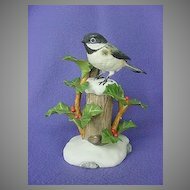 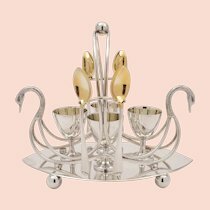 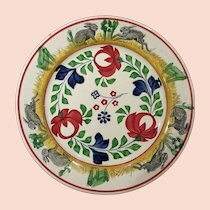 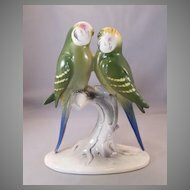 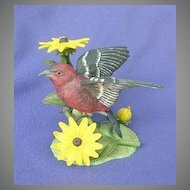 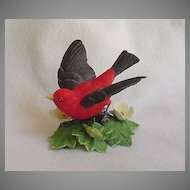 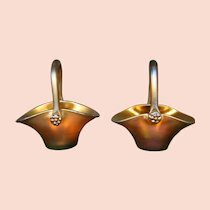 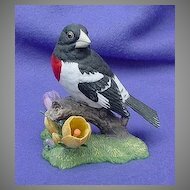 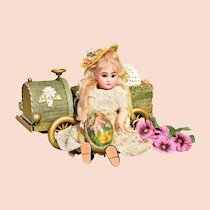 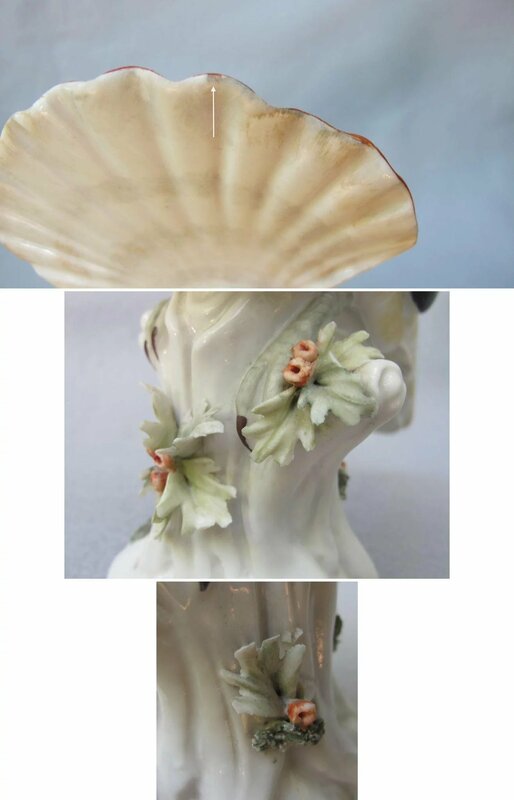 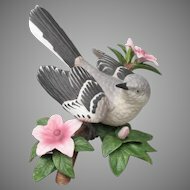 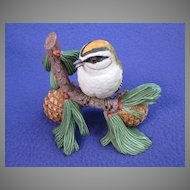 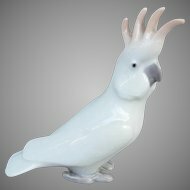 Made of fine porcelain and hand painted, the figurine features hand applied leaves and berries at the base along with a touch of spaghettiware. 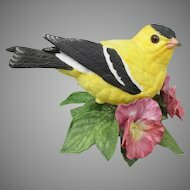 The leaves have suffered some bumps and bruises along the way (see pics) while the bird has a tiny chip on the back of its crest that is likely a factory flaw as the very edge is painted when viewed under a loupe. 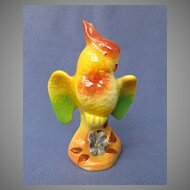 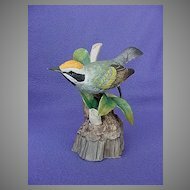 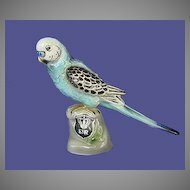 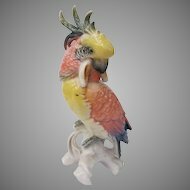 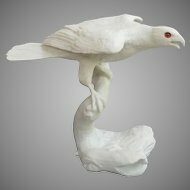 The figurine stands an impressive 11.75 inches to the top of its crest, while the crest itself is over 4 1/8 inches wide. 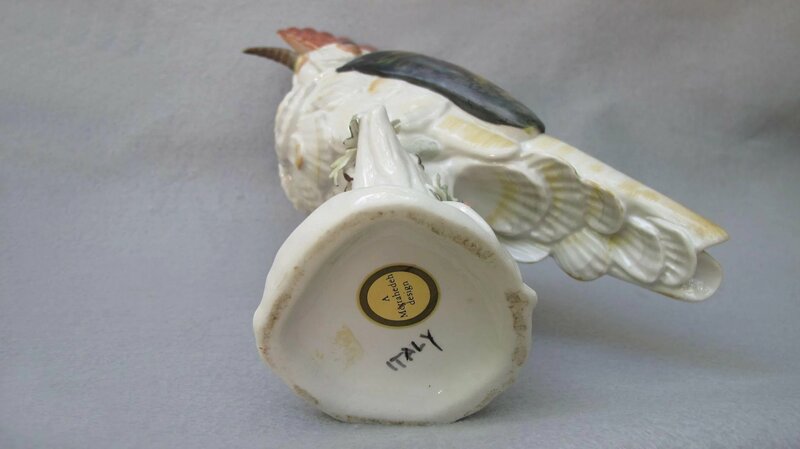 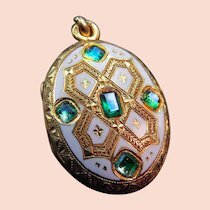 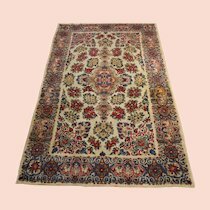 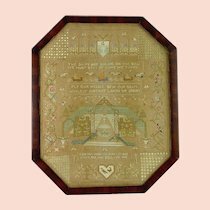 The piece is marked A Mottahedeh Design via a paper label on the bottom along with Italy. 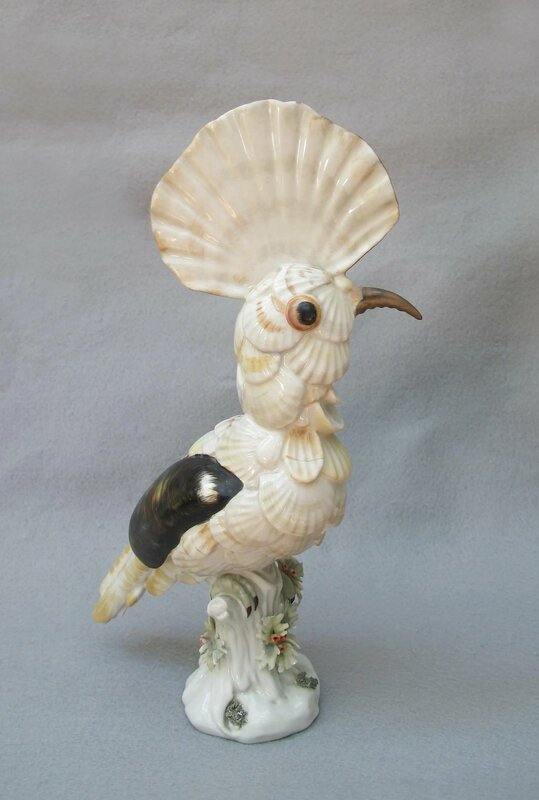 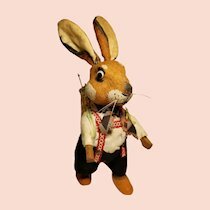 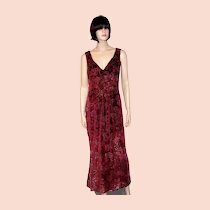 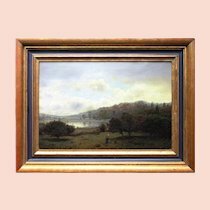 If you yearn for the rare and unusual and have an appetite for art then this would be your Bird despite its minor flaws.